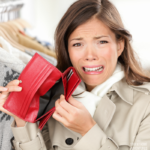 Creating a budget can be challenging at times; to be honest, very frustrating as well. When we have a tight budget, or we are broke, saving money can be hard. It's how this once broke girl here do it that can be tricky but it can be done! When I first started to attack my debt, we asked ourselves how could we possibly save money when it seemed like all of our money was going to paying our financial debt. Saving money on a budget was something new to me. I was a bit overwhelmed because I never in my life had created a budget on my own. How could anyone save money on such a tight budget? The answer is yes, it is possible, and many others have done it. When you start focusing on killing debt, sometimes we start our journey with an intense focus on just eliminating debt. We use all the money we have in killing debt. During my early struggles with killing my debt, I was simply following what Dave (Dave Ramsey) said. Save $1,000 first for an emergency fund, and then start killing your debt with intensity, but that didn't sit well with me. You see, $1,000 is not enough. If my car's transmission were to go, $1,000 wouldn't cover it. This is just a fact. 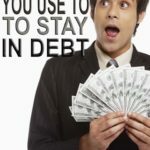 I decided to break free from following Dave and kill my debt the best that I could; that was to save money in the process of killing my debt. I believe that having an emergency fund helps prevent you from getting into debt, and if it weren't for my emergency fund, I would have been in more debt. How I decided to save money on a budget was to start small and create a plan. I made a budget where a certain amount of money was going to paying off my debt, and another to grow my emergency fund. The truth was that it took some time to figure it out. Heck, it took me a bit to create a budget that worked for me. The reason why is because a budget that works for some, might not work for you; and the essential part of having a successful budget is to find one that works for you and your family. This is how I learned how to save money on a budget, and again, what worked for me might not work for others; but these tips are here to give you an idea on how to save money on a budget. 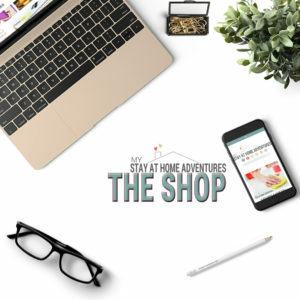 On my blog, I am always writing about ways to save money since becoming a stay at home mom; this has been something I am passionate about. 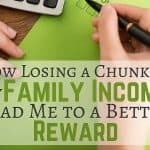 Not only have I written plenty of posts on this subject, but I have also tried many ways to save money. For these reasons, I can tell you that I am personally able to answer your “how to save money on a budget” questions because I have done it myself. All it takes is a commitment from YOU, and since you already committed to start killing debt, saving money on a budget won't be as difficult. Your excuses for not being able to save money due to a tight budget will be squashed once you realize that saving money consistently and diligently will make your money grow. This is something that you must do routinely. Your budget should never stay the same and should be revised monthly. 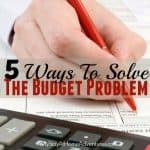 I will not go into details about how to start a budget here since I have written so many posts about starting a budget that you may find very helpful here. 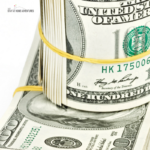 When you are looking at your budget, simply look for ways to cut down expenses to save money. If you don't have anything saved, it's time to create a savings goal. Once you re-evaluate your budget and find ways to budget some savings, create a goal. If you can save $5 a week or a month, this is a start. Start committing to this goal whether you created a 2-month saving goal or 6-month goal. Start cutting down any expenses or excessive shopping and start using that money saved towards your savings. If you're committed to your savings goal, any extra money should go towards it. If you got paid 3 times that month, that paycheck should go towards savings (If you are concentrating on saving money). This is something that I lacked a lot during my early years, motivation. Remind yourself why you are doing this. Do whatever it takes to keep yourself motivated and keep going. Never give up on how to save money on a budget. NEVER! Nothing is 100%, and sometimes things happen, but don't let that derail you from saving money. 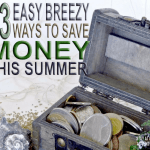 I hope these tips on how to save on a budget will help you get started on saving money. Having money saved is so important and when you know that you have money saved it feels right. Having money saved helps you when things happen, and you don't have to worry about trying to come up with money. Never say again that you can't save money because of your tight budget. Many others have done it, including yours truly. If it only takes $5 a week; do it! Remember that if you continue to save consistently and diligently, your money will surely grow. What other tips do you have on how to save money on a budget? What did you do to save money when your budget was tight? Please share it with us. Getting started with your first budget is hard! I had to make some adjustments to my categories the first few months until I got the hang of budgeting and my spending habits. I still sometimes got over on some areas though. I think the biggest mistake I make is not to evaluate the budget all the time. I draw up the budget and then get so disappointed when we don’t stick to it to the last cent that I just give up. Great reminder that it is a constant process.